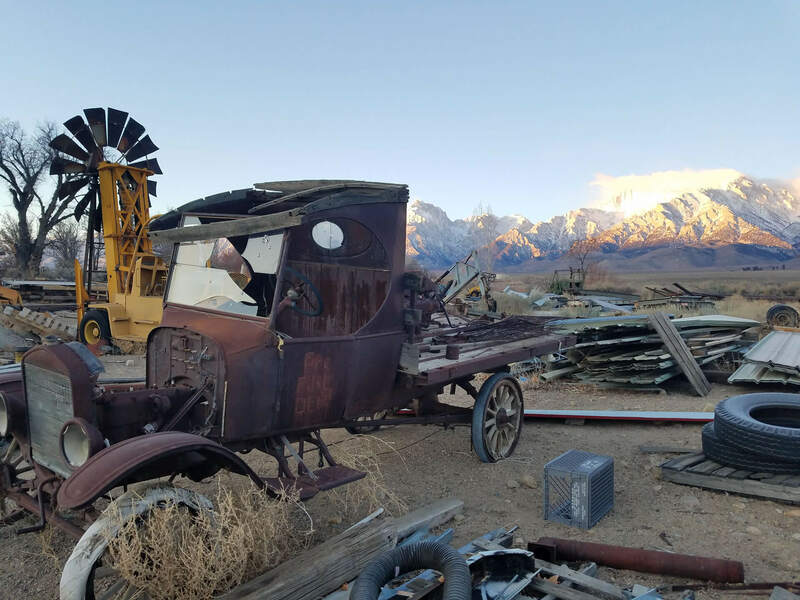 During the 1870’s Lone Pine was an active supply town, furnishing goods and services to the surrounding mining communities of Kearsarge, Cerro Gordo, Keeler, Swansea, and Darwin. 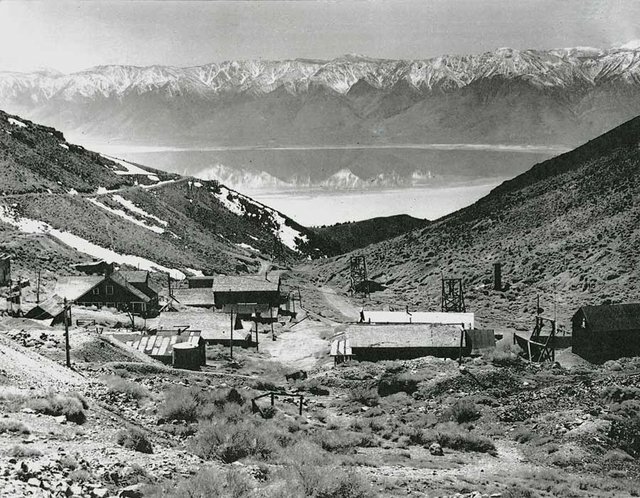 The large mine at Cerro Gordo, 9,000 feet high in the Inyo Mountains, was one of the greatest silver mines in California. Silver, lead and zinc were carried in ore buckets on a strong cable to the town of Keeler. From Keeler, the ore was transported 4 miles northwest to Swansea’s smelter oven. To fulfill the need for building materials and fuel a sawmill was built near Horseshoe Meadows to provide wood for the smelters and the mines, by Colonel Sherman Stevens. 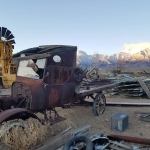 Lumber was transported by flume to the valley, burned in adobe kilns to make charcoal, which was then shipped across the 30 foot deep Owens Lake by steamships to the smelters at Swansea. 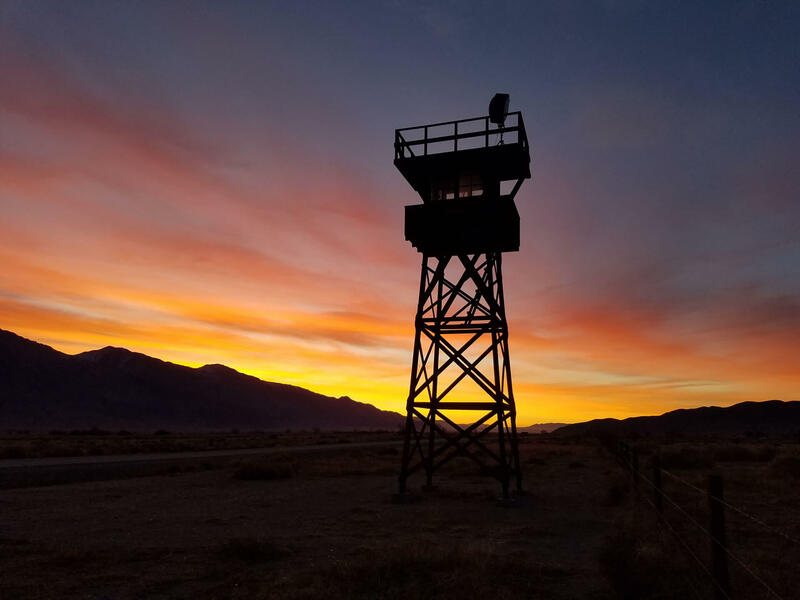 Located about 12 miles south of Lone Pine just east of Hwy. 395 are the deteriorating ruins of two adobe charcoal kilns. 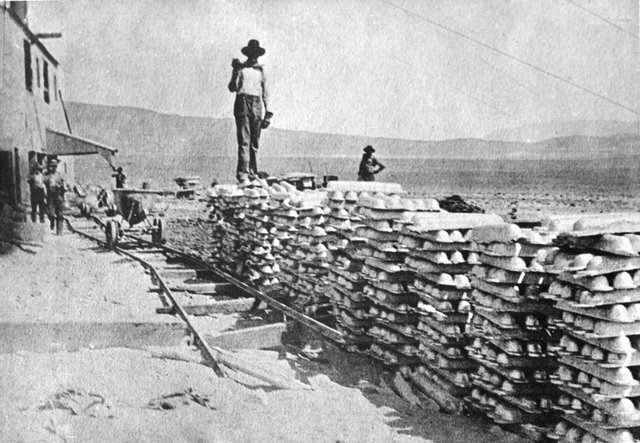 After the metal was extracted from its matrix, silver ingots were loaded aboard steamships and transported to Cartago, on the west side of Owens Lake. From there the silver was carried across land by mule train to the then small city of Los Angeles. 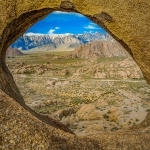 Dolomite (a marble) was taken from tunnel in the Inyo Mountains. 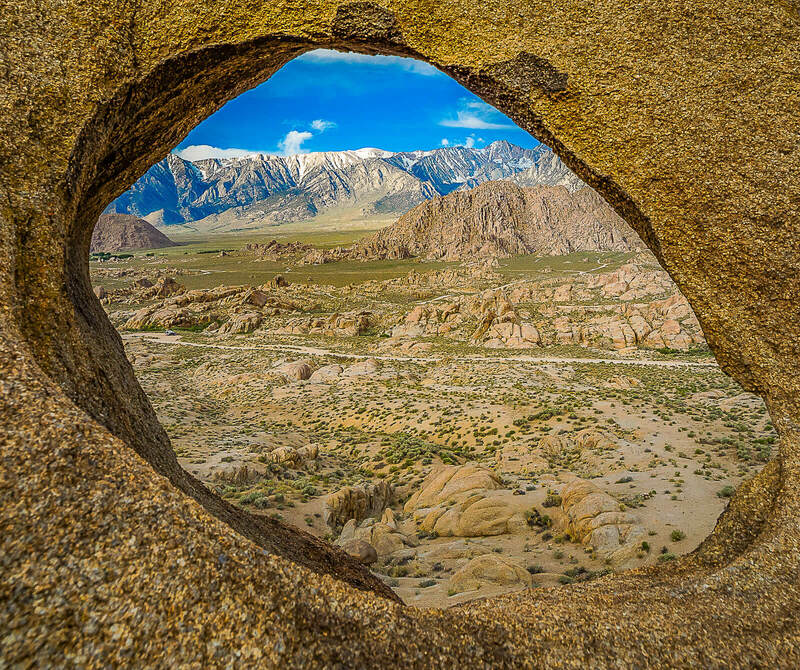 You can see one of these tunnels at the north end of the Owens Dry Lake, north of Hwy. 136. Dolomite is still mined in the area, as are talc, pumice, and clay. 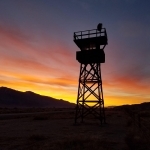 Learn about the Ghost Towns.